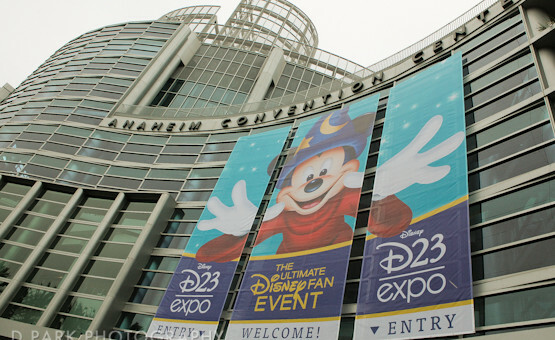 Our Day 1 Wrap Up Report on the 2011 D23 Expo has been posted! We’re very excited to share our experiences at the Ultimate Disney Fan Event with all of you and we thank you guys so much for your patience as we are now able to bring it to you, but just DAY 1! Days 2 and 3 will follow later on this week and next, but we wanted to spread out the reports so you can read up on every single aspect of the Expo…plus each report is long because we did a lot of things! But enjoy Day 1 and relive the Expo RIGHT NOW by clicking the link. This Wrap up report is dedicated to all of our fans! Thank you to all our fans of old and ALL the NEW fans that we gained during the Expo! There’s no reason to do all this without you. Next story Season Screamings Coming Your Way!